RedBack Performance Strings are your opportunity to take your archery to a level you have never experienced before. Strings are possibly the most underrated aspect of accuracy. They are the connection between the bow and the arrow. Their consistency dictates how well the bow works shot after shot. They can be the most variable aspect of your gear, but they don’t have to be. With care, knowledge and hardwork you can produce a set of strings that will perform flawlessly time and time again. Or you can simply purchase them from a company that is prepared to do that for you already. 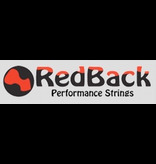 Redback Performance Strings is that company. Using top of the line BCY string materials, built with top of the range string jig technology and with the knowledge of a multiple Australian champion and Olympian David Anear, RedBack Performance Strings check all the boxes needed to take your equipment to the next level. Bow Make and Model:Enter your Bow make and model here. This helps us identify the way it is built. Cam Size: Some bows have a variety of cam sizes. Some have one. Leave blank if not sure. Main String Length: If you know this length enter in inches here. Main String Colour:List the colour of the string and serving here. Can be a single colour or two colour. 1st Cable Length: If you know this length enter in inches here. 1st Cable Colour:List the colour of the cable and serving here. Can be a single colour or two colour. 2nd Cable Length: If you know this length enter in inches here. 2nd Cable Colour:List the colour of the cable and serving here. Can be a single colour or two colour. Hanger colours: If your bow has seperate hanger cables (like the Mathews Halon or Prime bows) enter the colour here. If you don't want these added just leave blank. Other Information: Any other details, requests, colours, etc enter here.